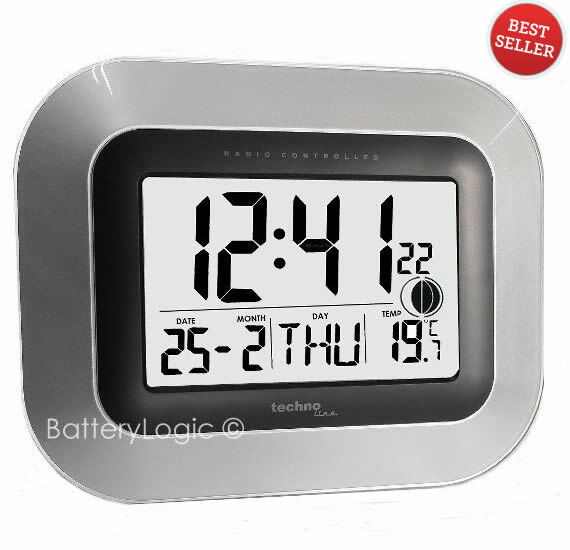 LCD Wall Clock with DCF-77 Radio Control, Jumbo digits and indoor temperature display. Jumbo LCD Wall Clock with date, time and indoor temperature display. Popular for use both at home and at work. Perfect for schools, offices, factories, public buildings etc where clear and consistently accurate time is needed.